While Methadone and Suboxone have long held the title for the go-to treatment options for opiate addiction, there are exciting new treatments emerging that hope to provide relief for those still struggling to find a successful route to sobriety. We often hear of the ever growing problem that is methamphetamine, as it continues to be a cheap, easily accessible drug that is used in both rural and urban areas. However, it is certainly not the only amphetamine on the streets to choose from. There is another 'upper' quickly gaining popularity amongst intravenous drug users and recreational users alike. Prescription stimulants, specifically Ritalin, are becoming just as much of an issue as meth, and are only adding to the lengthy list of abused prescription medications that are already flooding the streets. On a recent visit to friend and fellow recovering addict Tim*, I was presented with the opportunity to give you all a peak inside the pockets of someone who sells prescription pills. This was an opportunity I of course could not turn down. International Harm Reduction Day 2014! Since today is the first International Harm Reduction Day, I decided to take a quick trip down to the local Needle Exchange to pick up a slew of items for a little impromptu harm reduction themed 'show and tell'! Today was my first time back in the Needle Exchange in quite some time! I must admit, it was an interesting experience returning now that I am no longer using. I was welcomed in again with open arms, and then immediately given the opportunity to head back to the supply room to gather all the necessities. All of these items were completely free of charge, and given anonymously to anyone who requests them. 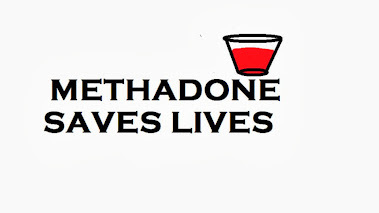 Methadone Maintenance Treatment (MMT) is the most widely known and well researched treatment for opioid dependency. However many of those considering this as a treatment option for opiate addiction, and even some patients currently on methadone, have hesitations towards certain aspects of treatment or are unaware of how to maximize the effectiveness of treatment. I have personally found tremendous success through Methadone. A MMT patient for just under 2 years now, I have gone from a homeless IV drug user, to a functional person, once again full of life and potential. It has truly given me the opportunity to reclaim my life, and has the ability to do the same for many addicts in need of treatment; but if you are not taking full advantage of all methadone has to offer, the power of addiction can win. Here are 5 simple ways to help maximize success in Methadone Maintenance Treatment!